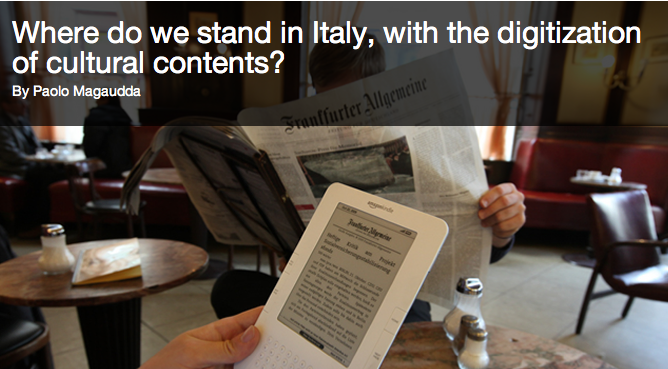 Where do we stand in Italy, with the digitization of cultural contents? A new article on the digital magazine Digicult about trends of the digitalization of cultural contents (music, films, newspapers) in Italy, compared to the US, with several sale and statistical data. Go to read the article (english or italian).